Summary : This superb article, about the birth of the Perkin Elmer Projection Scanning Aligner, was first published in the Fall 1999 issue of American Heritage of Information & Technology. 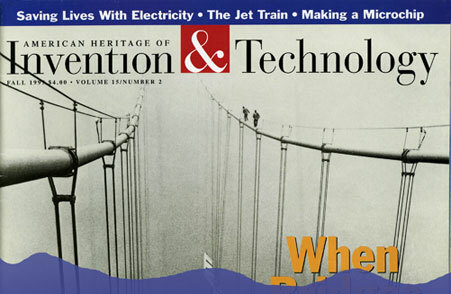 This superb article, about the birth of the Perkin Elmer Projection Scanning Aligner, was first published in the Fall 1999 issue of American Heritage of Information & Technology. Click on the full article below to get a feel for the industry's struggles and how close it might have come to utter failure, but how it was saved by some of our industry's brightest stars. Afterwards, click on the photo gallery to view activities occurring at Perkin Elmer during its heyday. Finally, click on the Perkin Elmer 100 button to view the system itself. We would like to take this opportunity to salute Information & Technology magazine for its very fine presentations on American technology and to encourage its continued support. Click here to view the full article from the American Heritage of Information & Technology. Click here to view the Perkin Elmer Photo Gallery. Click here to view the Perkin Elmer 100 Micralign Projection System.